Pearl Jam announced theatrical screenings for their new live concert film Let's Play Two. The film premieres at The Metro in Chicago on September 27th, then will enjoy a limited screening engagement in cinemas nationwide. Three screenings in Michigan have been announced - all take place one night only on October 3rd. Check out the local dates/theaters below and view all screenings for Let's Play Two here. 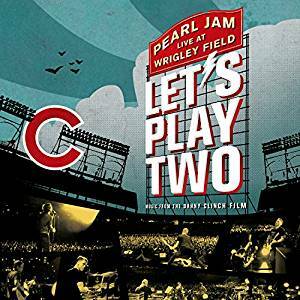 Let's Play Two was filmed during Pearl Jam's two shows at Wrigley Field in August 2016. The film premieres in Chicago September 27th; a television premiere is planned for October 13th on Fox Sports; and the film arrives on home video November 17th. The soundtrack to Let's Play Two is available to pre-order now. Head over to Pearl Jam's website for all the details.